The SD Association this week announced the SD Specification 5.1, which will introduce the so-called Application Performance Classes that will specify minimum read and write IOPS performance supported by the upcoming SD cards. The App Performance Classes are designed to help end users to ensure that memory cards they get are capable of providing decent experience when running applications. When Panasonic, SanDisk and Toshiba developed the Secure Digital card standard in the late 1990s, their main goal was to create miniature removable devices to store multimedia files (music, images, short videos, etc.) and even operating systems that would be more versatile than MMC cards and would offer a path for future evolution. 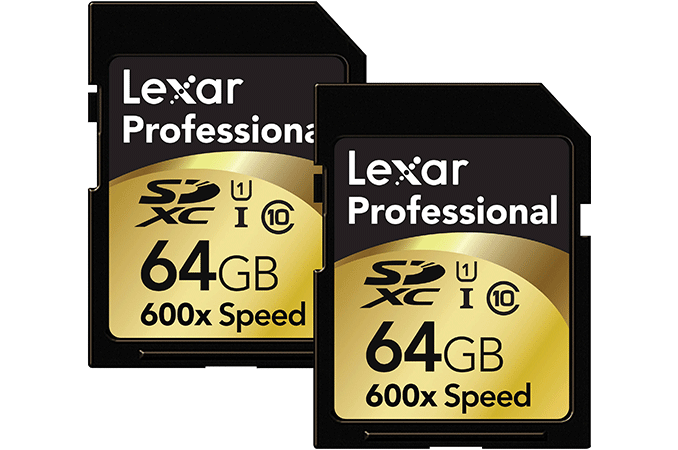 Over time, SD cards have increased capacity, improved sequential performance and even gained new interleaving modes to enable new usage models (such as recording of 360° videos or multiple video streams at once). In today's climate, usage patterns of SD cards by different people vary greatly. Some need to record and store UHD content, other need to run applications, which is why the former benefit from great sequential performance, whereas the latter need guaranteed sequential and random read/write performance. Earlier this year the SD Association released the Secure Digital 5.0 specification that takes into account large block sizes of modern NAND flash chips and introduces the new Video Speed Class labels that define minimum write speeds supported by certain cards. Now the SD 5.1 spec introduces App Performance Classes that express minimum sustained sequential performance as well as random read and write IOPS performance. The first defined class is known as A1. The SD 5.1 defines the App Performance Class 1 (described with one of the A1 symbols) to require SD cards to provide a sustained sequential performance of 10 MB/s, a performance of 1500 random read IOPS as well as 500 random write IOPS. Eventually, the SD Association plans to introduce higher App Performance levels when the market requires. It should be noted that levels of performance of the App Performance Classes are only guaranteed on devices that comply with the SD 5.1 specifications, and are not general catch-all performance certification. As a result, owners of contemporary devices can get new cards and then test them using Google’s benchmark for SD cards to ensure that their performance is sufficient for running apps (or just check out third-party tests of SD cards). As it usually happens with SD cards, other SD-defined labels (e.g., UHS Speed Class, Video Speed Class, etc.) that determine other characteristics of devices will accompany the new A1 labels. In fact, 10 MB/s sequential performance mandated by the App Performance Class 1 is not too high and various SD cards carrying the UHS Speed Class 1 (as well as the VSC V10) labels offer this level of performance by specification anyway. Meanwhile, the A1 label is the first to ensure that random IOPS performance is sufficient for apps designed with this performance class in mind. And in completely unrelated news, the Crap Flash Swindlers Association has announced that once again it's figured out a way to game the new benchmarks so that they can put the same performance labels on their cut-rate binning rejects - that the SD Card Association expected would only be possible on top tier cards - without actually improving their crappy cards usability in real world situations. and how does labeling an SD card make PNY suddenly start labeling accurately? Grab any 2 SSD's with different internals but similar specs and prove me wrong! "Remember to reboot between tests to get an accurate and repeatable number without caching issues"
I don't know, I can't help but laugh at 500 IOPS write performance. An average USB 3.0 flash drive can do 2000 IOPS and that's ignoring the performance models.